One of the most daunting yet important tasks of raising children in today’s society is instilling good social values and etiquette in them. Good manners and behavior play a paramount role in a child’s life. In fact, the well being of a society ultimately depends on the values and etiquette of our children. Parents need to realize that the ultimate responsibility and need to nurture and groom their children into becoming well-mannered individual begin at a very young age. The very first role model of a child is a parent figure at home. To encourage good etiquette and habits, parents need to lead by example and always display good etiquette at all times. Teaching the kids some basic rules about good behavior such as table manners, politeness and kindness are a lifetime investment that will definitely pay off as your children grow older. Starting your children on the path to good values early in life can not only help them get along with others better, but also help them develop respect for different cultures and races. It is important that children learn how to interact with different people in their social circle and react appropriately to people from different parts of the world. Proper etiquette habits also help them to move with confidence in society and carry the right values in their personal and professional lives. A great etiquette workshop will encourage good habits in dining etiquette, social and communication skills, as well as build confidence and self-esteem among children. Groom your children to be good leaders and respectful individuals in our society to help them excel in our challenging environment. Image Flair Children’s Academy of Modern Etiquette is dedicated to nurturing our youth into established, respectful, and well-groomed individuals of our society. Eunice Tan, founder and consultant of Image Flair, is an internationally recognized image and etiquette consultant that has made a difference in the lives of hundreds of children, as well as their parents. Contact Eunice for a personal and confidential consultation on how Image Flair can help your children. it comes to wedding preparation. Weddings are joyous occasions that celebrate a union between loving couples, and a time to share all these wonderful moments with family and friends. Despite the joy and excitement, weddings are a stressful time. From dress selection to dinner, everything demands the utmost attention to detail. Without turning your wedding into a hair-pulling frenzy, you can transform this special even into the best party and celebration of your life by incorporating some simple tips and tricks. As an image consultant, it is perplexing as to why couples can spend hundreds of dollars on wedding arrangements and gifts, but fail to give any consideration to what matters the most, the bride and groom. Perhaps, it is the lack of awareness and priority given to the most important couple of the wedding, or maybe the stress from preparations and living up to expectations have overshadowed the importance of looking and behaving your best at your wedding. Remember, that when all eyes are on you, proper image and etiquette for weddings is important in holding up a good image and presenting yourself as best as you can. This will not only add to your happiness on your special day but also leave a lasting impression on guests. Colour analysis for brides is one of the services offered under the Wedding & Special Occasions workshop. It provides professional advice on choosing colors that are best suited to your skin tone. We don’t need an expert to tell us that color coordination is important but we do need help from someone who has sufficient experience and skill to select the right colors for your evening gown, your lip and eye makeup selection, and even the bouquet you’ll be holding the entire evening! Apart from providing color analysis for brides, the Wedding & Special Occasions workshop proves to be quite helpful in determining the precise style for men and women that not only complements their body but also enhances their personality. While you can afford to look less than perfect on a normal day, your wedding isn’t one of those occasions you want to pass! Similarly, jewellery and makeup are two essential aspects of looking great for your big day. It’s your wedding and quite rightly you’re the center of attention, being scrutinized by everyone present at the event. You cannot simply go with your instinct as to what looks better. Questions like, what would go better with your dress, diamonds or pearls or what shade of eye-shadow would bring out the eyes, are all important ones that need to be addressed. 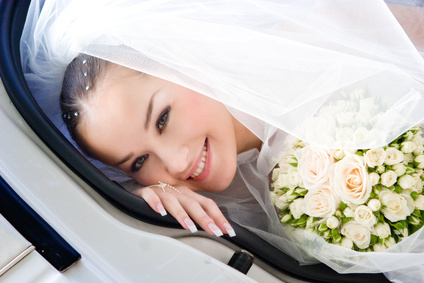 Apart from appearance, dressing, and looking great, there are other important areas to take note of for your wedding. Acting appropriately in front of guests is important to ensuring that you do not embarrass yourself or give your guests an awkward experience. Appropriate wedding behavior is important to keeping up with that great image you just created for yourself. Lastly, of course, have a great time and enjoy the beginning to a wonderful journey together as man and wife!